A week after Lori Lightfoot made political history as being the first African-American woman and the first openly gay person to be elected mayor, there was history made in Indianapolis – in media. Nexstar announced Monday it sold CW affiliate WISH and My Network TV affiliate WNDY to Circle City Broadcasting for $42.5 million, led by Indianapolis native DuJuan McCoy. A graduate of Butler University, he becomes the first African-American to own and operate a television station in the Indianapolis market. Much has been made about the lack of minority ownership in media – especially in television, where less than one percent of owners are African-American. It’s a problem dating back decades, escalated by the elimination of the minority tax certificate in 1995, giving people of color tax breaks when buying TV stations. 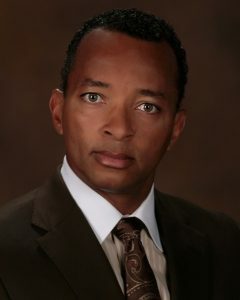 McCoy began his career at then-independent WTTV in 1989 as an account executive. McCoy is also owner of Bayou City Broadcasting, who owns stations in Evansville and Lafayette, La. (hence the “Bayou” name.) Bayou owned a few Texas stations and sold them in 2012 for seven times what they’re worth. The deal is necessary for Nexstar as the company is buying Tribune Broadcasting for $4.1 billion. Nexstar already owns WISH/WNDY and would purchase CBS affiliate WTTV and Fox affiliate WXIN, both owned by Tribune. Since the FCC won’t allow Nexstar to own all four stations in the market due to anti-trust concerns, they had to sell two stations. But in a wrinkle, Nexstar is hoping the FCC lets them keep WTTV and WXIN, as both are among the top-rated stations in Indianapolis with Dispatch Broadcasting-owned NBC affiliate WTHR as the market leader. The FCC typically bars the two “top four”rated stations in a market in the ratings, but would decide on a “case-by-case” basis. “The proposed sale of two stations in Indianapolis marks another important step forward towards completing the Tribune Media transaction and the last piece of the divestiture component of Nexstar’s comprehensive regulatory compliance plan.”, said Nexstar CEO Perry Sook in a statement. Nexstar has already announced some divestitures, including selling some stations to Tegna and Scripps – the latter getting New York’s WPIX in a deal. Their is no mention of Circle City being a “sidecar” company, meaning McCoy will operate the station, not Nexstar in some sort of “joint sales agreement”. Once the top-rated station in Indianapolis, WISH lost its longtime CBS affiliation to WTTV in 2014, a one-time independent station who had ties to NBC, ABC, UPN, WB, and CW networks at one time or another. WISH did gain the CW affiliation, but its longtime parent company (LIN Broadcasting) was sold to Media General, then was swallowed by Nexstar. The last minority-owned television station in a major market was held by Roberts Broadcasting, an African-American headed company who owned WRBU-TV in St. Louis and was sold to Ion in 2013. Hopefully, we’ll see more of these kind of transactions going forward. The industry benefits when there is more racial diversity in the business. And even better, not run by a media conglomerate in some kind of “sidecar” deal.